In light of Environment Secretary Michael Gove’s recent comments about farm subsidies post-Brexit, what can agroecology offer in the way of support for farmers? I am the next generation of a family farm facing an uncertain future. The recent announcement farm support will continue in some guise offers some hope, especially as it will likely be linked to practices which bring environmental benefits. It provides us with an opportunity to enhance the farm system by supporting practices which capitalise on natural processes to support more cost effective, lower input, sustainable farming. Agroecology can offer far more than environmental benefits in the less productive parts of your farm, it can inform your overall farm strategy and rotations, and boost your business. As with many farms around us, black-grass has been a harsh wake-up call on our family farm in the Cambridgeshire Fens, one which we need to tackle by working with the ecology in our system. The short rotations, dependency on herbicides and focus on winter crops has ultimately created this problem. And this has caused us to rethink the whole system. 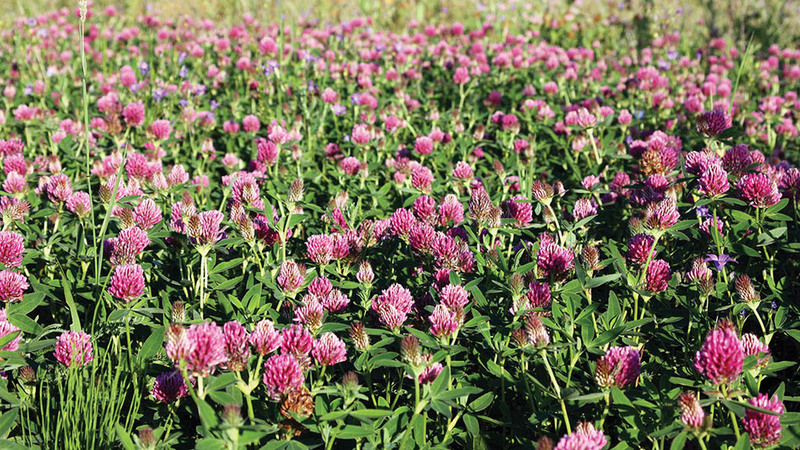 We now work in collaboration with a local dairy farmer to reintroduce grass clover leys and widen the rotation with other silage crops, such as maize and, perhaps next year, lucerne. We are mixing spring and winter crops. It is by no means perfect but we are making steps towards a more sustainable future-proofed farming system. Dad keeps saying we should go back to what Grandad was doing, but we are moving forward armed with new scientific knowledge of agroecological farming systems. Engaging with www.agricology.co.uk has helped us. It hosts research on agroecological farming practices from a range of UK organisations and provides opportunities to learn from other farmers who are implementing these practices. I often post questions which arise in the field on social media using the @agricology handle and get quick responses. I was amazed to discover some farmers happily leave a field after drilling. Creating weed suppressive systems with vigorous growing and disease-resistant varieties, higher seed rates and by nurturing soil to grow a healthy plant is possible. Savings on herbicide and operations are potentially substantial. Farming with an emphasis on ecology rather than inputs requires practical knowledge in place of products and this creates a real need for upskilling on-farm. In this respect, Agricology aims to provide the vital link which helps fill these knowledge gaps, with an emphasis on peer-to-peer learning through farmer profiles, guest blogs and open days.